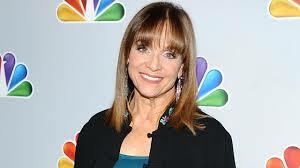 As you know, Valerie Harper has appeared on TV recently talking about terminal brain cancer. I do not like the word terminal since in a larger sense it is meaningless, since nothing really terminates, but everything changes. You must learn to orchestrate the changes so they are beneficial to your wellbeing. I saw Valerie the other day on TV and she made in interesting comment, saying that "everyone is terminal" and that surely is true from your viewpoint but your viewpoint is somewhat limited. What seems to have died and disappeared to you, has simply adopted another form on another plane of existence. Nothing in the universe is actually terminal and that includes life on any scale. There is not one life form existing on Earth or on any other planetary system that has ever ceased to exist, they have changed. What you perceive as death is really a change of form, the abandonment of the physical body for one of another type. You cannot perceive the consciousness and imbedded comprehension that exists prior to and then enters into the fetus before birth and you cannot perceive the consciousness that continues to exist as it gently leaves the human form behind upon physical death. There is what could be called a metamorphosis of the identity image upon entering the physical earth plane and a similar affect upon dissolution of the physical body as it leaves the earth plane. Your life consists of the "in-between period" between physical birth and death, but it is by no means all that there is of you. The identity portion of the Soul/Entity, already existing in an inner dimension not perceivable by you, diffuses itself and enters the fetus at conception before and in much the same way, disentangles itself from the physically perceived form and migrates back into the inner dimension from where it originated. The stuff of the physical body returns to the earth to be used over and over in other manifestations. That which is of the earth, returns to the earth to be used again and again. In this way there is a beautiful sharing of the physical stuff of the earth. The actual full consciousness of the new personality enters the fetus at various times before physical birth. There are many considerations here and I surely don't want this to be taken lightly, but sometimes the use of words like terminal, inevitable, incurable, fatal, hopeless, etc. can be more disadvantageous than the dreaded illness cause itself. Doctors would be well advised to educate themselves as much in understanding the true nature of life as they do in dwelling on the nature of death. Most doctors are just operating with limited knowledge of the origin of the material bodily form in the first place. If they knew the origin of the identity occupying the physical form and the consciousness involved in supporting that form, they would be less inclined to use those inappropriate words to describe any illness. No self-respecting doctor should ever use the words terminal or incurable, since there is no such state that exists. Identity is mobile and does not confine itself to one particular image in one particular world and so the personality that seems to be annihilated at death, is not dead in any sense of the word. The physical body has used up its usefulness in this lifetime, but the minute consciousness involved in the atoms, molecules and cells that make up that form, know full well that they live on in other forms. The physical body is a living object and in the terms normally used, as table or chair is an inert or non-living object, at least in terms normally used. They both have the same source, consciousness and as conscious creations they have no permanent duration in time. All physical creations will fade and disintegrate and disappear over time, but they do not cease to exist, the disappearance simply being a fading or metamorphosis from one perceived appearance into another that cannot be consciously perceived. This lack of physical form in no way should be taken as non-existence, but simply a change of form. In your world, this is generally observed as death. Scientists know that energy is matter and matter is energy solidified in another form. If the physical body and all of its parts were really solid, I would not be writing this article. The physical body is constantly being created, and even the most ill informed doctor or scientist knows that the cellular structure of the body completely replaces itself every seven years, so in a very real sense, you are a completely different person today than you were seven years ago. You could say that you have reincarnated and exist in a totally different form than you did seven years ago, different, but similar in appearance and still respecting continuity of self in time. The molecules and cells that combine to form your body possess small consciousness's themselves, all striving and combining under the direction of the sub consciousness to form a body representing as perfect an image of your inner world image that forms the pattern for your materialized body. Your physical body is then created as a mirror image of the inner psychic self-image and is reflected outwardly, perfectly displaying all of the inner joys, emotions, failures, flaws and defects held in the inner mind of the personality. In a way, this is the method that the inner subjective self uses to communicate with the ego physically oriented personality. What I am saying is that the physical body is as much a psychic creation as it is a physical biological creation, and in truth, the inner concept, the psychic, emotional and psychological state brings about the biological state that materializes as an independent personality in earth reality. This is not some arbitrary process dictated by some capricious god sitting somewhere on a golden throne on a cloud in the sky. You are what you are, who you are and where you are because you made the choices along with your Soul/Entity, either consciously or unconsciously that placed you in that position. It has nothing al all to do with religious concepts and if you have challenges in your life, they were a result of your own psychological reality and reflect your own creative skills or lack thereof. Your inner self is the source of all material creations, including your body and all of its parts, projected from an inner psychic source out on the physical scene to be observed and contemplated. It, this inner self, is the projector of mind over matter if you put it that way. But the inner self follows the direction of the operating self-aware consciousness of the physical personality. Based on physical circumstances, the inner self replicates in atoms, the underlying psychological reality of the earthly personality. By the way, I am well aware that I do you a disservice by trying to pack a lifetime of learning into a few short paragraphs, but I do want to get on with my main idea here. Much of what I am going to say can be better understood by reviewing my last article on how intensity of thought brings about manifestation of physical matter. Your inner psychological state then has much to do with how your body materializes and relates to the world. If your inner psychological, mental, spiritual and psychic state is in a state of disarray, mental discordance, turmoil or imbalance or if harboring inner unresolved conflicts, then the material image of your outer bodily health will be affected accordingly. All instances of ill health, sickness or bodily disabilities are first and foremost the result of mental processes, inner mental distortions projected outward into the physical world through bodily malfunctions or deformities as signs that something is not right inwardly. As my dear father would have said, you will know that something is rotten in Denmark. You could rightly say that the body acts as a barometer, alerting the ego physical personality that something is not as it should be mentally. This is the method used by the inner self, projected through the subconscious to speak to the outer self. You should understand that your "all knowing" inner self is not perfect and is learning and growing as you are and sometimes mistakes are made. There is NO state of perfection. Beliefs, ideas, thoughts, imaginings are projected outward into physical matter. What you concentrate on will become real in atomic structure, especially in the human body. Your body is the result of inner mental processes and accurately reflects your thoughts and beliefs about yourself. The intensity and duration of thought, desires, beliefs and idea that originate in the brain causes the strength and duration of the outer manifestation of the body. There is one other, and the most important of the mental aspects that will affect whether or not your thoughts and beliefs will ever materialize. So I make myself clear, if you want something, anything, you will not get it unless you expect to get it. Expectations then, are the most important aspect of creating reality. You must first think about it, then believe it, and then expect it. This is not as obvious as it seems. When you do not believe in this universal process, you will not expect. Doubts of the validity of success will cause failure. In short, you are physically what you think you are; your body's health will reflect how you think about your state of health. It is relatively impossible to be healthy if you perceive yourself as being sickly. You get what you think about and what you concentrate on will gain strength and as long as you concentrate your attention on the illness, it will become relatively incurable until the belief changes. WHAT YOU CONCENTRATE ON BECOMES REAL WHETHER YOU CONSIDER IT BAD OR GOOD. STRONG CONCENTRATION REINFORCES THAT WHICH IS CONCENTRATED UPON. EXPECTATION IS THE CATALYST THAT CAUSES THE PSYCHOLOGICAL REALITY TO ASSUME PHYSICAL FORM. In most cases, in the case of illness, the illness will in some way be not only a notification of a discordant mental processes but will give a clue to the nature of the mental origin of the illness. As examples, difficulty with locomotion, or affecting the legs, back or other problems with walking or movement could be indications of reluctance to move ahead in life challenges, a fear of progress of any kind. It could be the root problem of failure to take on new responsibility in your job or personal life. In other words, a fear of forward progress. In the case of some tumors, ulcers, cancers or other inner growths that are hidden and cannot be seen outwardly, is symbolic of the outer representation of the growth process run amok, out of control, sometimes signaling the inability to foster and perpetuate inner or psychic spiritual growth. Cancers then can signal failure to utilize energy correctly as applied to inner psychic, spiritual, or mental growth. Cancers are obviously growths out of control. In many cases you may have cancerous growths that are eliminated by the immune system without your consciousness awareness. Look for areas where you have thwarted or obstructed inner movement toward any kind of spiritual, mental or psychological growth. When you dam up inner growth it must surface in some other symbolic way. A continuing pain in the stomach area may be a symbol of an ulcer, but an ulcer is also a symbol of deeper inner psychological conflict. An ulcer, cancer or other growth that remains hidden is a symbol of a problem or challenge not faced in daily life. When a growth of any kind becomes outwardly visible, it is symbolically emerging into the light and can be more easily identified and dealt with. In a recent article, I wrote about how intensity of concentration reinforces the creation and durability of physical matter. This and other of my articles should be read regarding this subject, since this can only be a short summary here, but in a nutshell here is what should be learning from this article. What you concentrate your attention on will gain strength in your life and what you can forget will dissipate energy and cannot long endure. I am quite aware that it can be almost impossible not to think about a pervasive and painful illness. A variation of this is applicable in personal and mass reality, a great example of this principle is the strength and durability of hatred in the Middle East. Unfortunately, you absorb negative suggestion from other people, in what is like a mental osmosis through repeated television drug commercials, doctors advertising their services in specialized areas and medical advertisements for every imaginable medical device from glasses, hearing aids to artificial joint replacement. Some of the most pervasive and well-meaning media advertisements are those classified as "public service" announcements. If you hear enough suggestions to check your breasts for tumors, your body will eventually give you the tumor you are looking for. These negative suggestions often become an unnoticed part of the background noise in your daily life. The process works for negative suggestions as well as positive and the process works equally as effectively to prolong good things as well as bad. When something is going wrong in your life, as in the case of illness, the only real effective way of changing it permanently is to change how you think about it and eliminate the negative thought stimulus. A flower cannot grow in a field depleted of nutrients and an illness cannot grow in the physical field without sustaining energy. Take away its energy and it will dissipate and die. An illness or any malady can disappear in the blink of an eye as sometimes a sudden illumination can change a persons entire life. There is no illness or sickness that cannot be cured, or rather, cannot cure itself following inner direction from the inner self and removal of disruptive blockages of the free flow of the creative energy of the universe. Blocked energy causes distortions like a boulder in a stream causes riffles and the riffles or distortions are often represented by health problems that surface in the physical world. Recovery requires that you follow not only your intellect, but also your intuitive senses. You know more than you know you know, and what you don't know you know, is known by the greater portion of your identity that actually does the healing, the inner self. You are not cut off from your inner self. From your perspective, it is Soul Stuff and you are a portion of It.